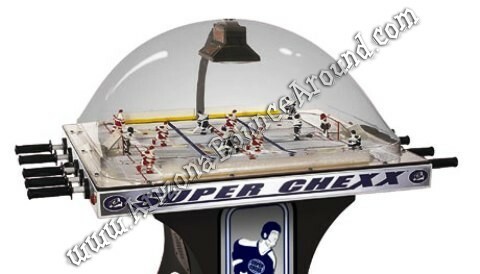 Our Hockey Arcade game features the Phoenix Coyotes against the Detroit Red Wings and is an officially licensed Hockey game for parties and events. 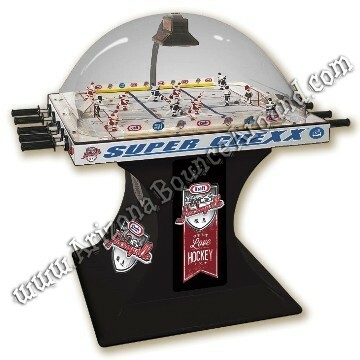 Our Bubble Hockey game features lights, sound, and a jumbotron in the middle with score and video for a realistic hockey game look and feel. 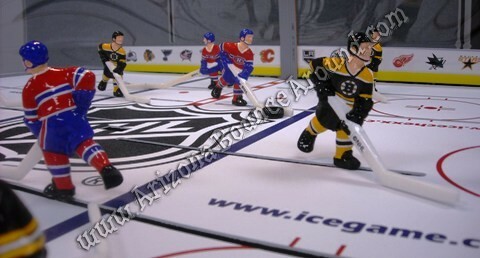 You won't find a better Chexx Hockey arcade game for rent anywhere in Denver so rent one today for your next hockey party or event.